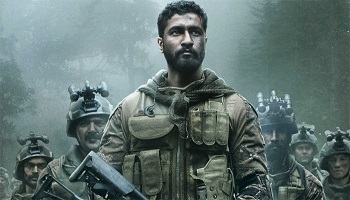 URI : The Surgical Strike 4th Week Box Office Collections Update - Checkout up to date and complete box office collections of URI starring Vicky Kaushal, Yami Gautam. The movie is directed by Aditya Dhar and it released in India on 11 January, 2019. Day 23 Collections - The film showed a massive growth of over 85% on its 4th Saturday to collected huge 6.35 crore. Even in its 4th week the film remains the top choice of the moviegoers. Day 22 Collections - Uri : The Surgical Strike continues to trend exceptionally at the box office as the film showed from 3rd Thursday which is an unheard kind of trending. The collections on 4th Friday were rock solid 3.40 crore.